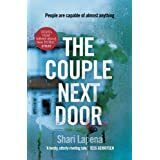 The Couple Next Door, blog tour this week. With much thanks to Becky Hunter, at Transworld Press for involving me in the tour and for a copy of the book, in exchange for an honest review. There has been a huge buzz about this novel so I was thrilled to get my hands on an early copy. 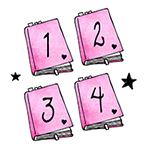 During the first chapter or two I wasn't sure about the style or tense of writing being used, I think it being third person and a thriller is quite unusual, but I quickly realised that it was helping hugely to keep the suspense, tension and pace going at a rate of knots, so swiftly got my head around it. I was pleased that the plot wasn't inundated with police procedure, the story really is tracked through the eyes of baby Cora's parents and merely has the detective on the case, Rasbach, as a secondary character to help keep facts on track, which was quite helpful. Taken through multiple trails of discovery by the parents, I happily followed after the scent of the missing baby without once guessing what the ending would be - and personally, I thought it was a fantastic finish to the novel. Throughout, I was kept engaged and enthralled, with no idea of what was going to transpire next. I didn't know who the bad guy was or wasn't, who was a reliable narrator or who was lying through their teeth. With a pacey, twisting plot and well developed characters this has 'killer thriller' stamped all over it.